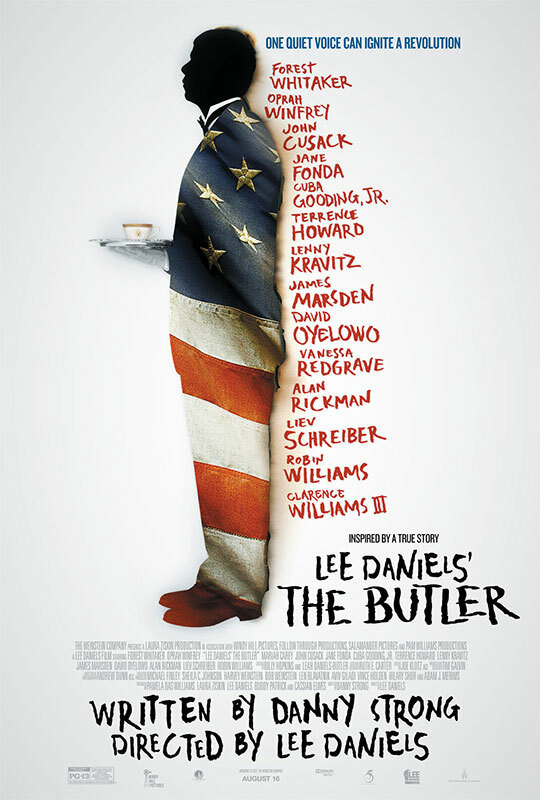 The Butler is about a black American named Cecil Gaines who rose from cotton field laborer to White House butler amidst a landscape of constant political change in the United States, including the civil rights movement. This is a fairly egregious example of an “Oscar bait” film, which panders to film reviewers and the Academy Awards by combining an “important” subject matter along with a star-studded cast. Within the first few minutes, Mariah Carey has been raped and David Banner has been shot and killed in cold blood (I don’t consider either of these to be spoilers). This movie doesn’t waste any time getting right to one of its core themes: this movie wants to be taken extremely seriously. The contrast between the seriousness of this film’s subject matter and its celebrity-laden cast was difficult for me to manage. Klu Klux Man members surround a bus filled with black panthers and things get serious fast. But wait a minute: is that Robin Williams playing a grey-faced Dwight D. Eisenhower? Serious stuff here, with all this weighty racism. But wait a minute, is that John Cusack as Richard Nixon? And so on. It breaks immersion. Forest Whittaker is tremendous and the overall acting is very good. Even from Oprah, who plays Whittaker’s wife, although immersion was once again an issue for me because I kept seeing… well, Oprah. Celebrities who are known so well for one thing being cast as something else can become a difficult mental task to manage. I don’t think I had felt this way before this film since the case of this happening is so numerous. Virtually every fifteen minutes another well-known celebrity is introduced. This movie is patently appalling. Few movies want to touch the ferociously dark side of American slavery, but this movie doesn’t hesitate to horrify you. You’ll see and hear shocking things. All part of the Oscar Bait part. What I find most ironic about that is that this film failed to receive a single Academy Award nomination. Whoops. At least it’s still a very good film.